What inspires you? What do you love to do? How do you like to travel? Hi, I’m Julia, Founder of Lekker Boutique Travel. I’ve always loved travel – it offers you an escape, a chance for adventure, and an opportunity to learn about other cultures. ‘Lekker’ is South African slang for ‘amazing’ or ‘awesome’ – I’m originally from South Africa (although I’ve lived in London since 2002), so I feel it’s a name which combines my own roots with a belief about what travel should be like. 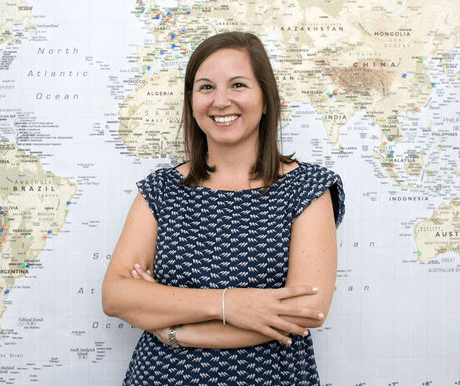 I noticed a gap in the market for a truly personalised bespoke travel planning service and this gave me the idea for Lekker Boutique Travel – born out of a passion for the inspirational, the unique, and an understanding that everybody is different. Just as no two people are the same, no two trips should ever be the same. We believe that travel changes and enriches lives, that every trip should be unforgettable. We believe that travelling in luxury should not be a restriction. We focus on you, your likes and dislikes, your lifestyle, your passions, your hobbies, and your dreams. 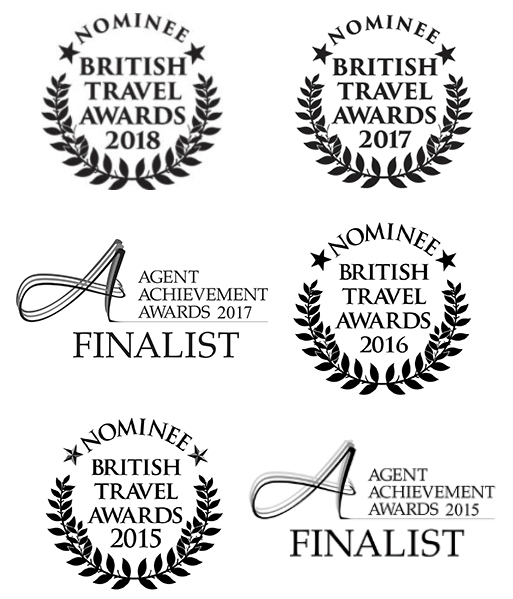 Since 2013 we’ve been arranging unforgettable travel experiences for individuals, couples, families and groups around the world. Whether you’re going away for a short trip or several weeks, we will create a tailor-made itinerary suited to you and your specific needs. Lekker draws on its employees own personal experience of travelling in over 70 countries, so you can be sure that we have first-hand experience and strong personal relationships with the destinations and local partners we use. Give us a call. We’d love to create your next adventure using our bespoke travel planning service. All of the vouchers you sent us for the Iceland trip worked like a charm. We had a lovely holiday, enjoyed the different trips - and the snow- and indeed the whole experience. The Alda Hotel was lovely and all the staff there very friendly. Thanks again for organising it for us. This has been one of the best vacations we have ever had! Thank you. We had an amazing holiday thanks so much for everything. First wanted to say how fabulous our guide Markus was. Such a lovely guy and he did so much to look after us on the trip. Thanks so much for all your help and organisation! Our trip to Peru and Bolivia was amazing. Thanks for all the fantastic arrangements! A great big thank you to Lekker Boutique Travel for a truly amazing holiday in South Africa! All the details of the holiday were meticulously planned and handled by them, leaving me to sit back, relax and enjoy! I would totally recommend you to anyone looking for a unique holiday experience. We spent 2 weeks in South Africa with Lekker Boutique Travel – It was a dream! Excellent organisation and bespoke travel destinations. Lekker managed all details down to the driver for all the pick-ups from the hotel and restaurants. Nothing to organise for me – complete relaxation! My favourite event was the open air concert with picnic in Cape Town’s botanical garden – awesome venue! I rate my trip a five start vacation. I believe that the five stars has to go to you Julia and your company, Lekker Boutique Travel, as well as your ground staff in South Africa. I would recommend you and your company to anybody who wants to go to South Africa. You guys are totally awesome. Thank you for giving me life long memories and now I want to go back to Africa to see other countries. I had an absolutely wonderful time on the Namibian trip. It was really great, well organized and went without a hitch. Our driver/guide and cook was brilliant. I would highly recommend him. Our very diverse group (in both age, backgrounds & nationality) of 12 gelled well & were very good company. Namibia is definitely a great place to visit. I would highly recommend it for the wildlife, the scenery varying from national park, salt pans, sand dunes, coastal area and of course the people who were very friendly. Kodak moments, were many & the landscape added to the pics! Thanks again for organizing it all. I really enjoyed it. Chris and I wanted to thank you again for preparing a wonderful honeymoon for us! It was absolutely wonderful working with you and you made our vacation so special! We got back from our amazing Kenyan safari earlier today. It was once in a lifetime experience - all thanks to you and your team. Considering how last minute our plans were, the attention to detail and the incredible execution of each plan just made the whole trip so special and memorable. You were an absolute star in making it all perfect. Our trip to Madagascar was top class. Well organised itinerary; high quality drivers and guides; hotels and food were better than we expected. Some wonderful memories, I would not hesitate to recommend it to a friend. Kenya is a perfect honeymoon destination. What an experience seeing the wildebeest migration in the Maasai Mara as well as the Big Five! We stayed in a beautiful luxury tented camp and then spent a week at a beautiful resort near Mombasa. We had the best time and would definitely recommend Kenya. Namibia is the most amazing country I've visited. The scenery is beautiful but I mostly loved the huge variety of adventure sports available - we went skydiving, quad biking on sand dunes and sand surfing. The wildlife was great too - I really enjoyed Etosha National Park. We recently travelled to Indonesia. As wildlife enthusiasts we were in for a treat. We saw orangutans, leaf monkeys, monitor lizards and several types of exotic birds in Sumatra. We then travelled to Pulau Weh off Banda Ache and did some awesome scuba diving. We saw a blue-ringed octopus and an ornate ghost pipefish on our first house-reef dive. The deeper dives were also superb. We especially enjoyed the Sophie Rickmer wreck! What a fantastic trip! We dived the Great Barrier Reef and explored Melbourne, Sydney, Brisbane and Cairns. Thank you Lekker Adventures for the fantastic service. Our trip was exactly what we had hoped for. I am such a big fan of 'Lord Of The Rings' and Lekker Adventures organised a holiday for me through the most amazing and awesome landscapes - backdrops of the actual movie! I loved visitng 'The Shire' and following the path of the 'Hobbits'. New Zealander's are very warm and welcoming and helped make this holiday the most inspiring, not to mention adventurous, trip I've ever had! New Zealand was amazing! Lekker Adventures organised everything, from the luxury accommodation, activities and even a trip to 'The Shire'. It is one of the most stunning places in the world - would definitely go back. Thanks Lekker Adventures for the holiday of a lifetime! Israel is a great destination and has something to offer for everyone. We loved the beach, nightlife, markets and food in Tel Aviv, and also really enjoyed seeing so much history first hand in places like Jerusalem and Caesarea. I also loved our few days in the desert and floating in the Dead Sea. It's a must see country. This is a fantastic holiday destination. We loved the tropical climate and fruits, as well as tasting all the various local dishes. The islands we went to were magnificent with picture perfect beaches. Kuala Lumpur is a great city to explore too. We had a fabulous family holiday in Thailand. The hotels catered to our kids' every need. We went para-sailing and jet skiing, and the kids learnt to snorkel. Easily the best way to see Antarctica! The crew on our boat were professional, attentive and clearly knew what they were doing. Each day's itinerary was packed with wildlife viewing and the scenery is breath-takingly pristine. There were two shore expeditions daily, one in the morning and one in the afternoon. We chose to go sea kayaking and shoe-shoeing, which was a highlights! The Ocean Nova is a great ship for visiting Antarctica as the maximum number of passengers is 68; the cabins are spacious; the meals were delicious, the onboard service is very good! Once in a lifetime trip that we will never forget! Wow, the best thing we ever did was contact you and ask you to organise all the activities for our wedding guests in Cape Town. You did an AMAZING job, and we couldn’t fault a thing! Thank you thank you thank you. The overseas guests were SO impressed with all they did and saw, they told me that they wouldn’t have changed the itinerary, and are keen to come back to South Africa and see more. Once again, HUGE thanks for your wonderful organisation – you’re a star. Cuba was amazing! We had such a wonderful trip. Loved every second of it! Such a beautiful place , wonderful people and music and art. Our accommodations were perfect. Thank you so much for arranging everything. We had a wonderful time! All your arrangements worked out seamlessly..not a hitch. So thank you very much indeed for your attention to every detail and your recommendations. Home. Jet lag in the rear view mirror. We could go on and on and on with accolades, but simply said a perfect trip. Our thanks. Thank you .... our trip was wonderful! We both enjoyed it and have so many happy memories. It was good to know that you were following our progress and watching out for us. I wanted to thank you for such a wonderfully planned trip. We has so much fun and South Africa is just beautiful! We had a great trip making unbelievable memories! You did a great job and we thank you very much for all the work that went into planning this trip. 5 star trip. Fantastic! A real adventure and brilliantly organised and guided. We had the BEST time ever!! Literally, was one of the best trips we’ve ever done. It was so well organised, everything went so smoothly. We were so lucky with the wildlife we saw and had the best weather and our guides were fantastic and so knowledgable! It was a really amazing country and our itinerary was perfect for what we wanted to see and do. Everything had been so well planned and thought out, it really took all the stress out of a usual trip to a country like Madagascar so we could just enjoy the sights, surroundings and people. Thank you so much again for organising such an incredible trip, we loved every second. South Africa is such a beautiful country, we had such a great time. Thank you so much for your help organizing the trip. You were brilliant and I would definitely use you again. I thoroughly enjoyed the trip to Namibia. It was superbly organised and an excellent mix of being in nature and sleeping in luxury. It was everything I was looking for and I will recommend this trip to anyone! Thank you very much for the excellent trip! My guide-driver was superb and his knowledge about wild animals and birds was excellent. He went the extra mile to show me more than usual. The itinerary was just perfect and I hope to do more safari trips with you soon! What an incredible trip! We had a fantastic time and are very happy we had you organise it it all for us, it made for a stress free holiday! Thanks again for all your efforts. Our Namibia Dunes & Wildlife trip was absolutely spectacular and filled with jaw-dropping moments! The inspiration of the vast landscapes and scenery is enough to warrant a trip, but the added bonus of iconic African wildlife made it even more other-worldly. We were able to experience incredibly diverse activities and experiences in a week's time that made it feel like we were there longer. Accommodation along the way was beautifully tasteful and comfortable and the night skies were the most impressive we've ever seen in our lives. Our trip guide was knowledgeable, friendly and professional and the vehicle allowed for good viewing and photography. Lekker Boutique Travel was easy to work with, always quick on response time and ensured our questions were addressed which made the booking process smooth. We would go back in a heartbeat and whole-heartedly recommend this trip, even for first time safari-goers!